Hi everyone, here are our suggested daily recommended titles for today. Last fall, Cynthia Rothschild saved her best friend, Annie, (and everyone else in her high school) from the demon librarian, Mr. Gabriel. But now all that demon stuff is over, and Cyn is ready to have the best summer ever — at theater camp (!) with her former crush and now boyfriend (!!) Ryan Halsey. Once she gets to camp, though, the Best Summer Ever does not seem to be following the script. For one thing, there is Ryan’s very talented and very female lifelong camp best friend, whom he has somehow failed to mention before now. For another, it appears the demon stuff is not as entirely over as Cyn had hoped. Also, there are some secrets that perhaps she should not have kept from Ryan for quite this long. At least any new demons that show up to ruin her summer can’t possibly be as evil as Mr. Gabriel, who is, thankfully, very dead now. It’s not like he could somehow come back to life to seek his terrible revenge or something. Right? 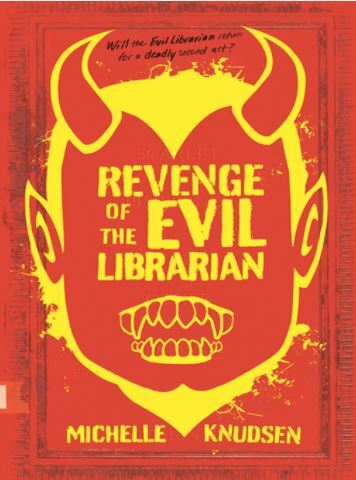 Best-selling author Michelle Knudsen brings back all of the hilarity and horror in this sizzling sequel to Evil Librarian. 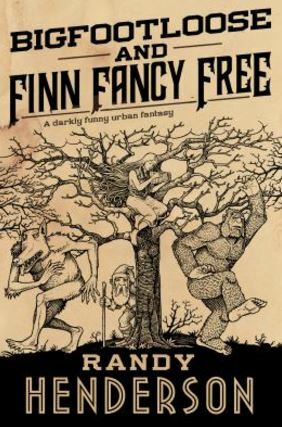 In Bigfootloose and Finn Fancy Free, the sequel to Randy Henderson’s acclaimed debut novel, Finn Fancy Necromancy, Finn Gramaraye is settling back into the real world after his twenty-five-year-long imprisonment in the otherworld of the Fey. He’s fallen in love with a woman from his past, though he worries she may love a version of him that no longer exists. He’s proved his innocence of the original crime of Dark Necromancy, and he’s finding a place in the family business–operating a mortuary for the Arcane, managing the magical energies left behind when an Arcane being dies to prevent it from harming the mundane world.